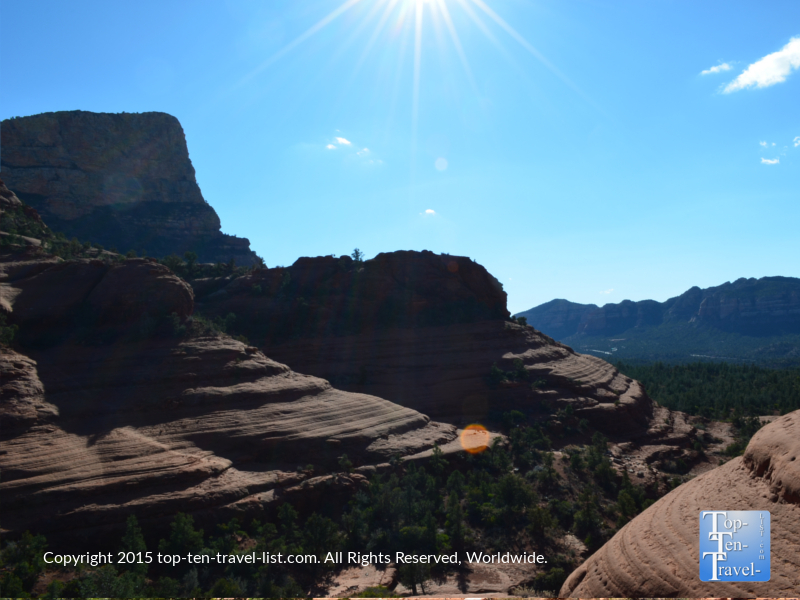 29 Must-Do's in Beautiful Sedona, Arizona - Top Ten Travel Blog | Our experiences traveling throughout the US. 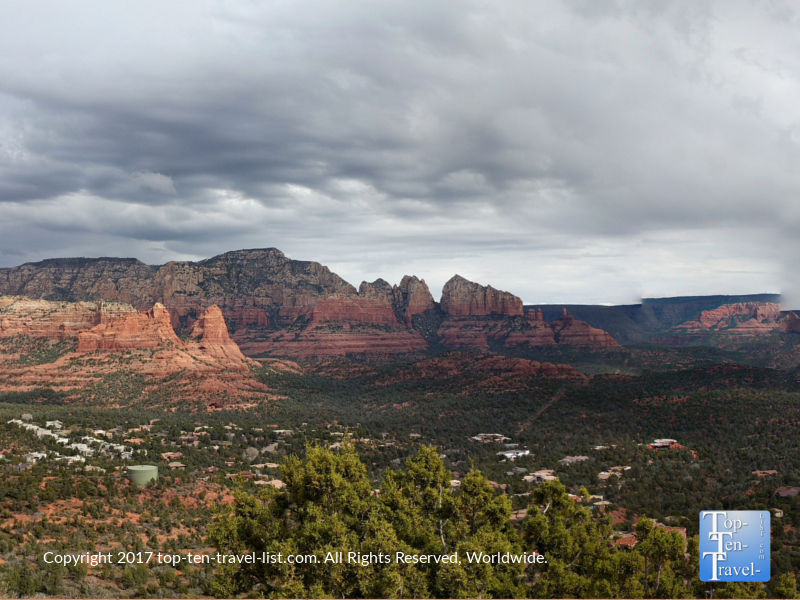 Sedona aka “Red Rock Country,” is a gorgeous Southwestern vacation destination, particularly for nature lovers, fitness buffs, spiritual seekers, and photographers. For anyone who loves being outside, exploring gorgeous natural landscapes, and relaxing & rejuvenating in a beautiful natural setting, Sedona comes in as the perfect Southwestern vacation choice. Really, it does not get much better than this in Arizona, when it comes to gorgeous natural scenery and wonderful hiking trails. With stunning red rock vistas in every direction, 100’s of miles of picturesque trails, and several scenic drives, Sedona offers an unending supply of activities for the nature enthusiast. Below is my list of 29 must-do’s in Sedona. Incorporating just a few into your trip itinerary will ensure that you are seeing the best-of-the-best Sedona has to offer! Note: 10 items are marked with a star. These are those which I consider the top things to do if you are limited on time! On any given day, you are bound to find dozens & dozens of cars lined up along Dry Creek Road, as this is the starting point for Sedona’s most popular trail Devil’s Bridge. Unfortunately, due to the rough road which requires 4WD, you must hike a connector trail (Chuck Wagon) before arriving at Devil’s Bridge if your car won’t make it. Don’t worry, both trails are scenic and the journey is well worth the effort for the incredible ending view of Sedona’s largest natural arch. If you are brave enough to walk this narrow bridge, the resulting photo (taken by someone on the other side) is a once in a lifetime photo souvenir! Even with the connector, the trail is still just about 4 miles RT and requires a bit of climbing near the end, so come prepared and bring extra water. What is a vortex? A vortex is reportedly a site of natural energy which provides either masculine, feminine, or neutral balancing healing. Feminine vortexes are said to be great for meditation, while masculine vortexes are energizing. The theory goes that a special energy swirls up from the core of the earth, making certain Sedona sites areas where intense healing can take place. In Sedona, several trails are considered to be vortex hikes. Twisted juniper trees are said to signal intense energy in an area. During your time here, you will notice many vortex shops & tours, new age shops, spiritual healers, etc. as Sedona is becoming more popular with spiritual seekers. People now travel from across the world to experience these sacred healing sites. There is no need to spend loads of money on a special vortex tour when you can easily get out there and explore these “magical healing” sites on your own. No one really knows for sure if these sites really do possess special powers or if they were made up to draw in more tourists. Therefore, you are better off exploring them on your own so no needless money is wasted. While vortex sites were most likely made up as a tourist draw, there is no denying that there is something special about these towering ancient red rocks (whether vortex site or not) and you will definitely feel something in the air as you explore these jaw dropping trails/vortex sites. Vortex hikes include Cathedral Rock (feminine), Bell Rock (masculine), Boynton Canyon (neutral), and Airport Mesa (masculine). 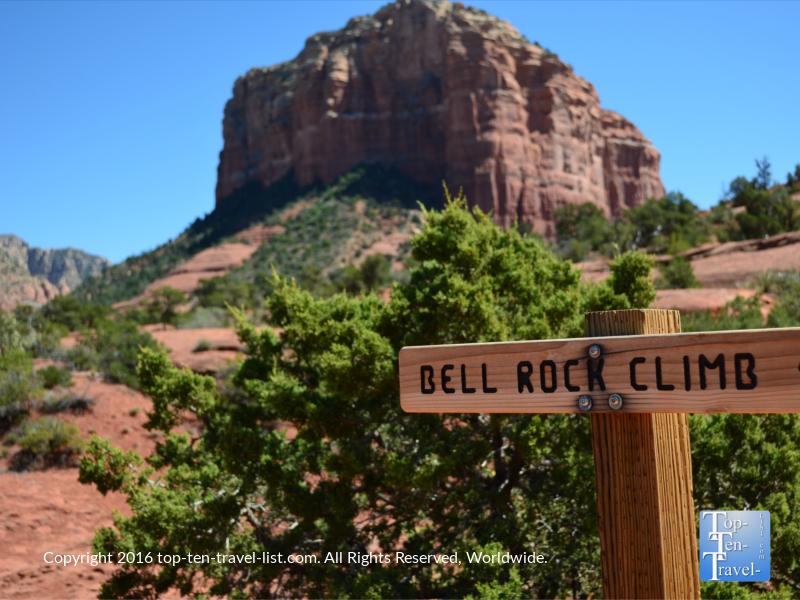 The energy at Bell Rock is so strong that UFO sightings are frequently reported. The entire Sedona area is a hotspot for alien sightings and is even known for being home to the most number of sightings in the world! The gorgeous Chapel of the Holy Cross is a non-hiking alternative vortex. 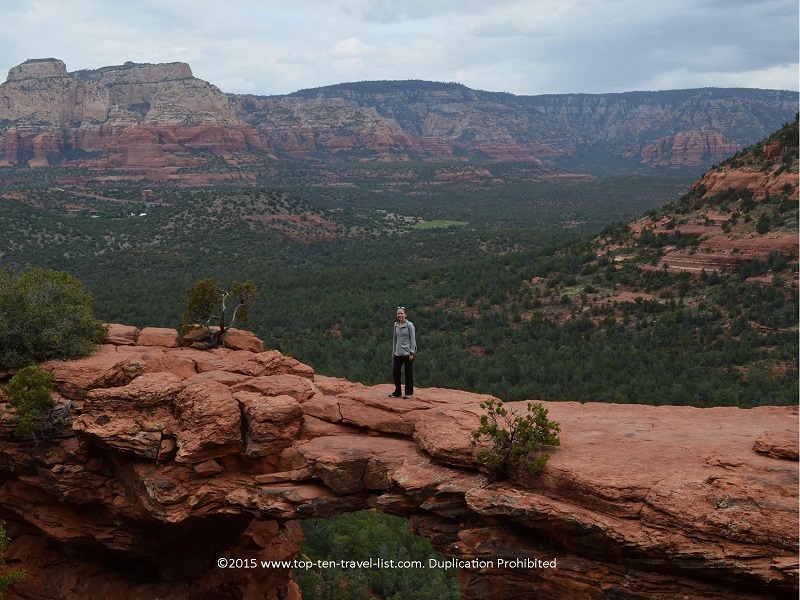 Don’t worry if you cannot make it to a specific vortex as the entire Sedona area is considered to be a positive vortex with the above mentioned hikes simply being areas of more concentrated energy. Chicken Point is a scenic viewpoint, accessed via Pink Jeep tours or (preferably) by way of hiking. 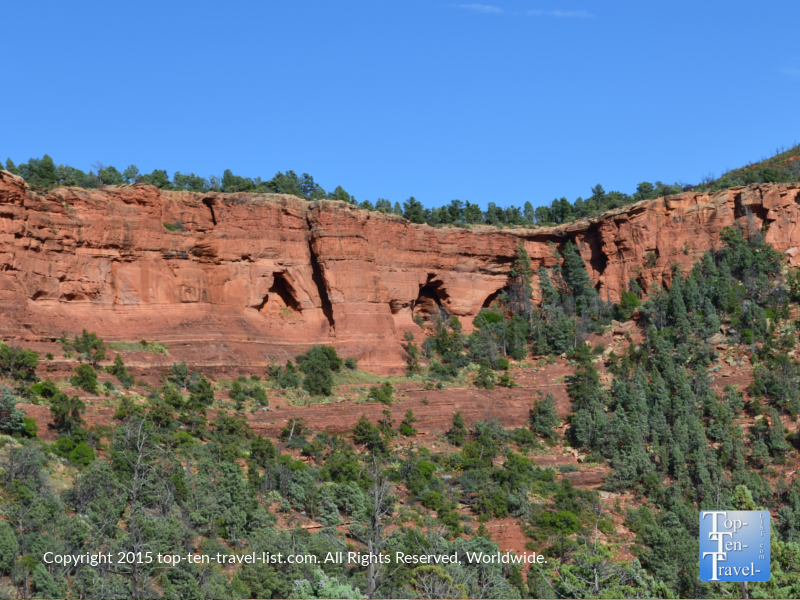 The jeep tours, in my opinion, are a waste of money as the point of coming to Sedona is to explore nature in the gorgeous red rock wilderness. The Jeep tours take away from the natural setting. Save yourself some cash and reach the same majestic viewpoint by hiking Little Horse or Broken Arrow. Both these trails are moderate journeys to the same incredible endpoint. Enjoy the views and the sense of accomplishment which only comes by arriving at the scenic overlook via your own 2 feet! 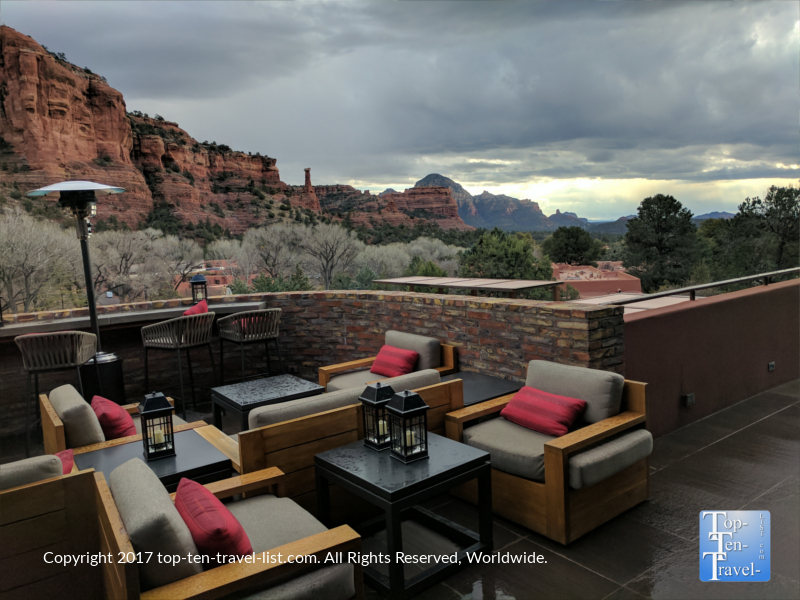 Enchantment is one of Sedona’s most well known lodging options due to the incredible red rock views surrounding every inch of the property. While staying at the resort is the preferred option, sometimes this is impossible as the rooms are incredibly pricey, not to mention often sold out months in advance. Regardless of whether you end up staying on-site, brunch at Che-Ah-Chi (the resort’s premier restaurant) is definitely a must. While most of Sedona’s breakfast choices are quite casual without much in the way of a view, Che-Ah-Chi offers a fine dining experience along with magnificent views via the floor to ceiling windows or outdoor patio. And of course, excellent food and service to match the views is always appreciated when dining in a touristy location. Try the Mocha French Toast or one of the skillets served with the tastiest homemade salsa! Despite the high pricing, brunch at Che-Ah-Chi is still a great value compared to other morning dining options, which are crowded without much ambiance, and still overpriced. Soldier’s Pass is one of Sedona’s most unique trails, where in addition to striking red rock vistas, you will also get to explore a few unique natural features. 3 natural arches, 7 sacred pools (a set of cascading natural pools carved into the sandstone), and the most active sinkhole in Sedona are all sites of interest you will get to explore along this moderate 2.5 mile out-and-back hike. The best part of this trail is the unique scenery changes as you go from wide open red rock panoramas one minute to a shady quiet trek through the Red Rock Secret Wilderness the next.